As a beauty editor, I’d like to think that I’m pretty well-rounded when it comes to makeup. With an endless supply of brands, formulas and colors at my fingertips, one would assume that I've conquered the basics. But truth be told, there is one makeup product that I have yet to master – cream blush. As an avid BB cream and foundation wearer, I've always thought that applying a cream blush on top of a complexion product would just look sloppy — so I've always been just too chicken to try it. But with all the pretty new cream blush launches this season, I figured I’d face my fears and give them a whirl. Before dipping my brush into a compact, I enlisted two top-notch makeup artists, NARS National Makeup Stylist Lucinda Baretto and Guerlain National Makeup Artist Marcus Monson, to help me make the transition into creams a little easier. You wouldn’t trade your PC for a MAC without hitting up the Genius Bar first, would you? 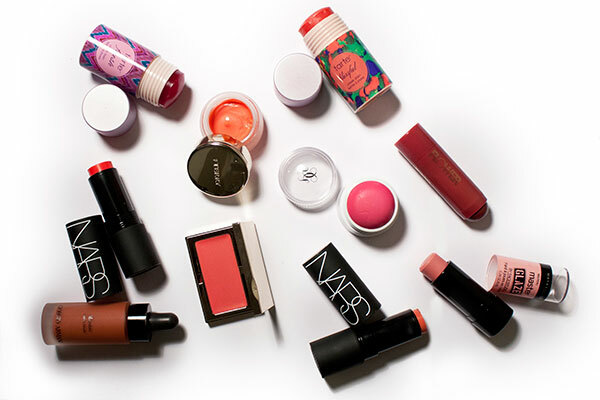 Consider this your beginner's guide to cream blush. Is cream blush right for you? For a more seamless look, Monson recommends synthetic, small foundation or highlighting brushes. 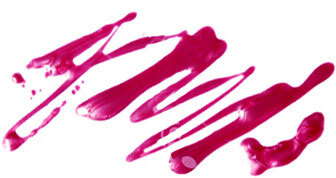 “You can sweep them lightly over the cream blush if you don't want to use fingertips,” he says. If you’re like me and won’t leave the house without a veil of BB cream or foundation on, you can still rock creams. First, Baretto says to always prep with a moisturizer and primer. “It’s the key to a flawless look. It will help everything applied on top go on much smoother.” Go ahead and apply your usual complexion products, but don’t let them set! “Make sure your foundation is still slightly moist, as the cream blush will blend in more evenly and effortlessly,” says Monson. Dust yourself off and try again! Practice makes perfect, so don’t just quit if you mess up. It’s actually really easy to tone down the color if you apply too much. All you need is a makeup sponge (try a Beautyblender; they work wonders!). Baretto also recommends using a translucent loose powder to diffuse the color.